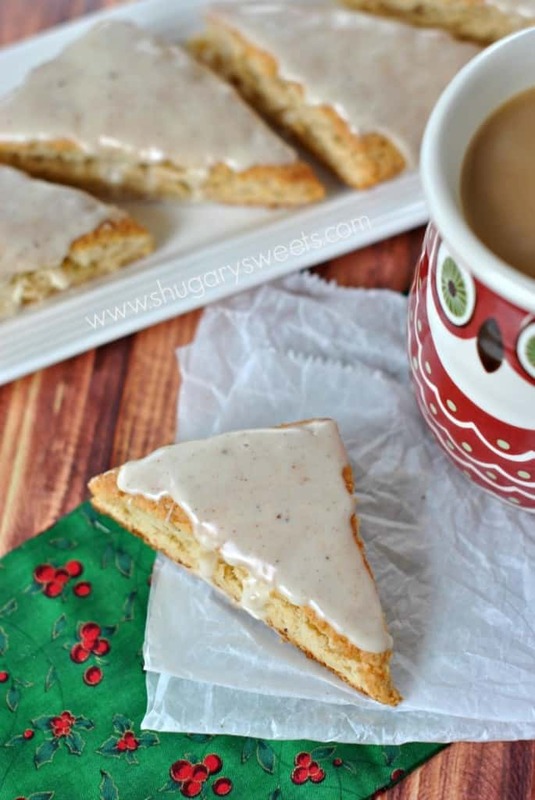 Eggnog Scones: perfect for this time of year with a cup of coffee, tea or hot cocoa! 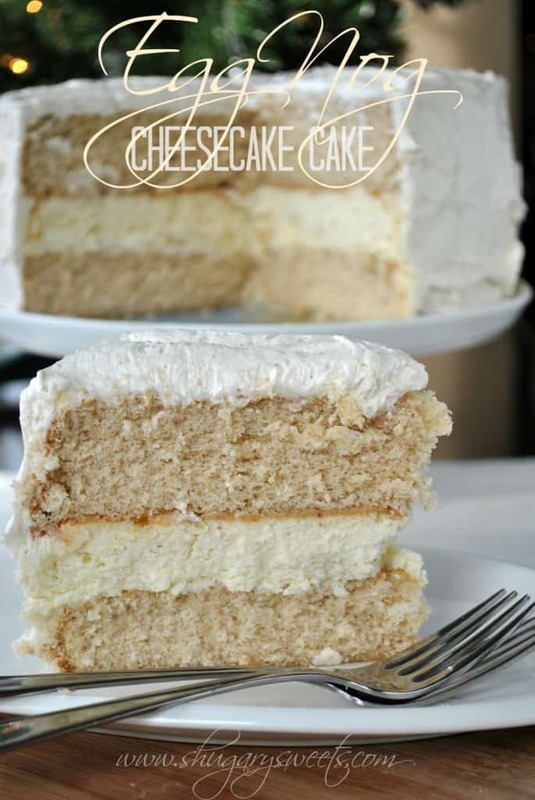 The texture is spot on, and the glaze melts in your mouth! So, be honest, EGGNOG. Love it or hate it? I love the stuff. I can’t drink gobs of it, but it is such a part of our holiday tradition, I can’t help but love it. Growing up, we always opened our sibling gifts to each other on Christmas Eve. It was something I always looked forward to. Maybe not so much because of the gifts, but because of the eggnog. My mom would pour us each a cup (or I should say a mug) of eggnog and she sprinkled nutmeg on top. She would set out a plate of Christmas cookies and we would sit around the tree, sip our eggnog, eat cookies and open gifts. Of course Christmas morning we would repeat this scenario, but it was more frenzied. The time seemed to go slower on Christmas Eve…the anticipation, the routines, it just was very enjoyable. I’ve continued this same tradition with my own family. Like my mom, I have four kids of my own too! Hubby and I enjoy coming home from Christmas Eve church service to eggnog, cookies and gifts. Of course, my picky hubs doesn’t drink the nog, but he participates none the less! Making these Eggnog Scones was such a wise decision. If I had a choice, I almost always go for biscotti over a scone. I like crunchy vs chewy. However, I already have an eggnog biscotti recipe, so it only makes sense I give the scone equal time in the spot light! I brought these scones to my parents over Thanksgiving and they were devoured (mainly by my dad!!). I’ve been asked to bring them for Christmas too! That’s a sign they must have been tasty! What traditions do you keep this holiday season? I’d love to hear it!! For the scones, combine flour, sugar, salt, and baking powder in a large mixing bowl. Add in butter (I used the beater blade of my electric mixer, but you can use a pastry cutter). Add in egg, greek yogurt, eggnog, rum extract and nutmeg. Combine completely. On a large baking sheet with parchment paper (or silpat), shape dough into a large rectangle using your hands. I dusted my hands and the dough with flour to keep it from sticking. Press your rectangle to 8 1/2 inch x 6 1/2 inch- 1/2inch thick. Using a pizza cutter, slice in half horizontally. Then cut it into thirds vertically (you will have 6 rectangles). Cut each rectangle in half to make 2 triangles. You will be left with a total of 12 triangles. Don't separate them on the baking sheet yet. Bake in a 350 degree oven for 25 minutes. Remove from oven and re-cut your triangles. Separate carefully and return to oven for an additional 10 minutes. Remove and cool completely before applying glaze. For the glaze, whisk together the sugar, eggnog and nutmeg. Add more/less eggnog for desired consistency. Spoon glaze over each scone and allow to set, about 20 minutes. Store in an airtight container for up to 5 days. ENJOY. Are you Eggnog obsessed? I’ve got you covered! 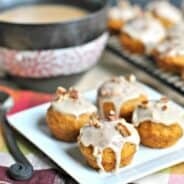 Eggnog Donut Muffins: bite size muffins that freeze well too! 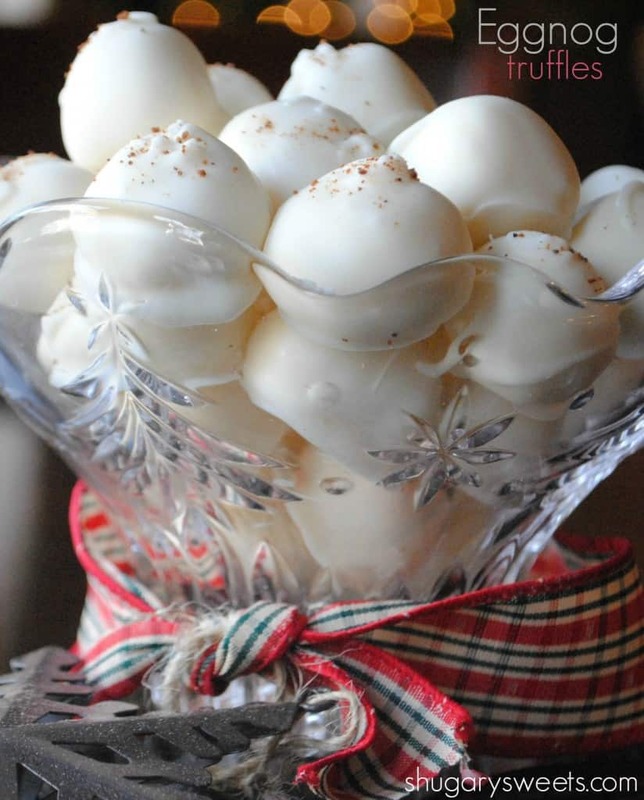 Creamy Eggnog Truffles with a delicious crunchy coating! Not a fan of eggnog? 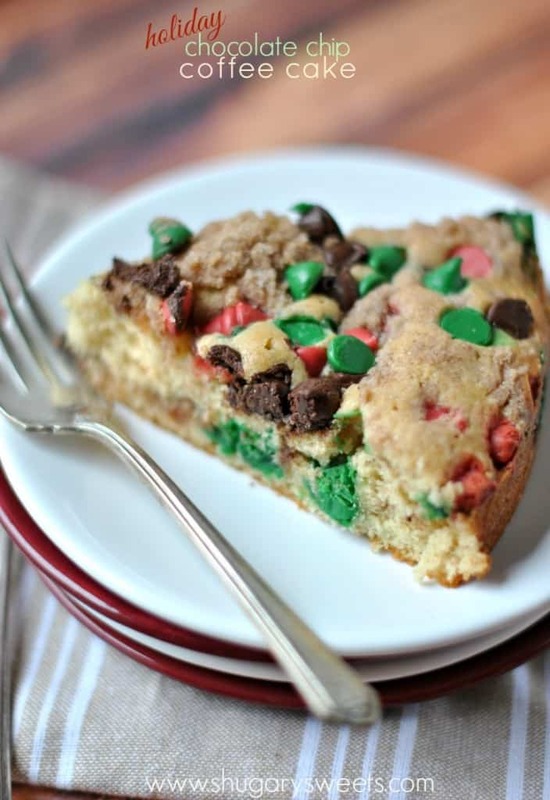 Still looking for a Christmas morning breakfast idea? I love me some nog! I make up a homemade batch every year that I spike with golden rum. These scones look perfect. Love that glaze! I’m not a big egg nog person, so I don’t drink it straight. I love adding it to baked goods, which I just started doing this year. These scones sound delicious, Aimee! I love that there’s Greek yogurt in them, too. 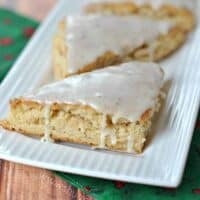 Egg nog biscotti?! I need to try that, too. Pinning both! Oh my yum! They look fabulous and easy! I’m a nog lover, but that golden nectar is so thick, I can usually only handle a glass or two. Now I have a yummy solution for the leftovers 🙂 Hope you and your family have a very Merry Christmas Aimee! enjoy every minute. I am a eggnog drinker to the core! We get it so rarely, that might be part of it. 🙂 These look even better than drinking it! What a fun tradition to carry on with your family. We do something similar, but without the eggnog. I think I need to add eggnog at least for my son and I. 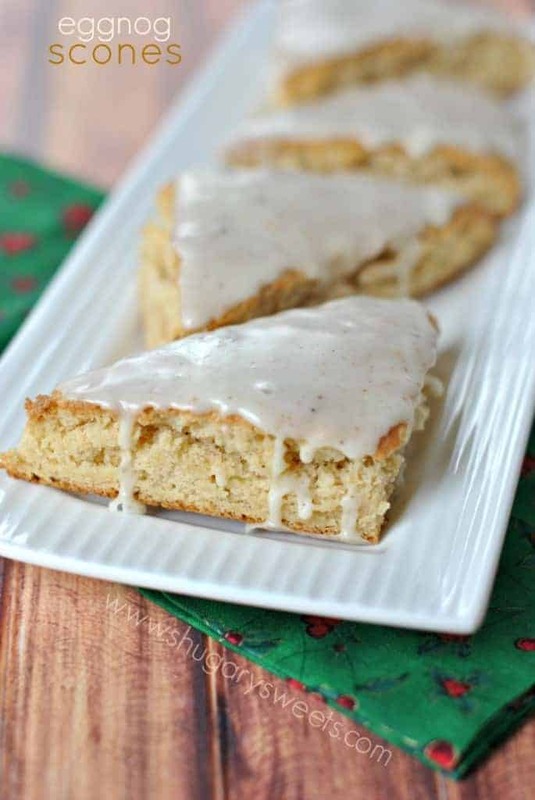 And a batch of eggnog scones for breakfast! I LOVE what I make but not much for the store bought. 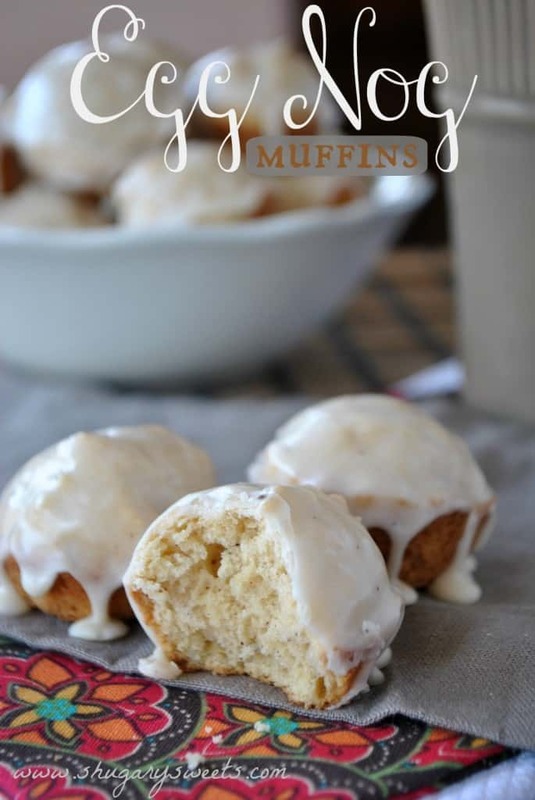 These really seem good to add it to scones and the other recipes you have. I never used to like egg nog until recently. Now, I am all over the stuff! 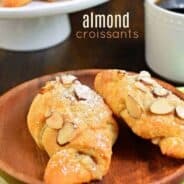 These scones look so perfect for breakfast with a cup of coffee…and I love the use of Greek yogurt in them! I love eggnog and I love hearing about family traditions!!! This sounds like a nice one!! This is SO perfect for Christmas morning or with whatever leftover eggnog that’s left at the end of all holiday festivities! 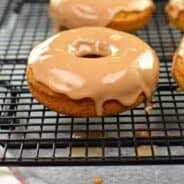 That glaze looks ridiculously good! I’m thinking I should make these for my eggnog-loving sister. It’s okay that it’s past the holiday season. Thanks for the recipe!